*You can hover over any picture in this post to pin it easily! There is no doubt that school is the best place to acquire academic knowledge, but when it comes to practical life-knowledge, travel is the best school by far. 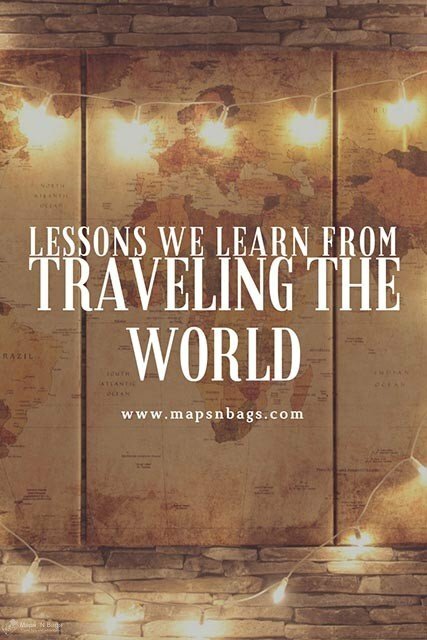 There are so many lessons we learn from traveling the world, I’d be arrogant if I would say that I’ve written all of them below, however, this is a list of the most important things and characteristics my friends and I have learned on the road. I went to college when I was 17 years old and after I had finished it, I started traveling. Those years of college were very important to give form to the human being I am today, but most of the things I use at work, to socialize and to live, I learned while traveling. 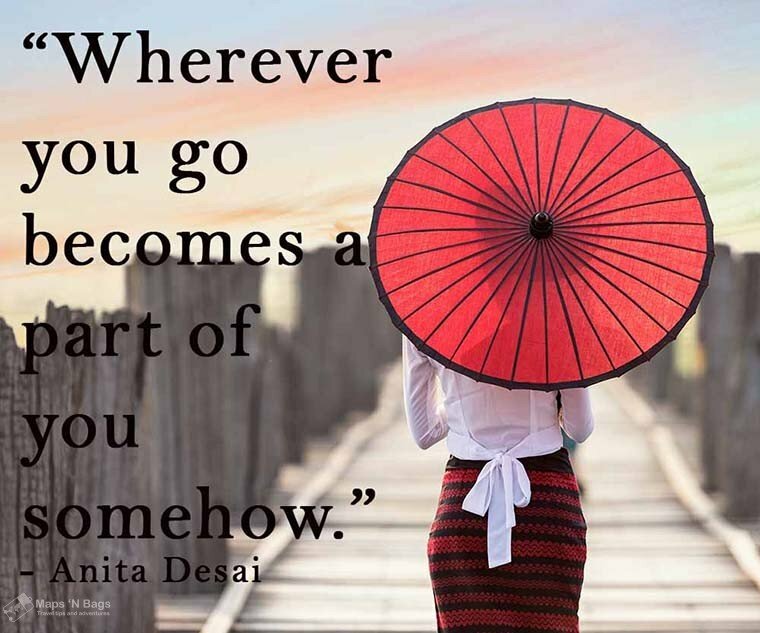 Because the moment we leave our comfort zone, we start growing up and realize the tiny place we occupy in the world. It goes without saying that experience teaches more than theory. You can read that vanilla ice-cream (my favorite) is sweet and creamy, but when you taste it…it changes the whole picture you have about it. The same happens to all the places you visit. You get to see the world monuments with your own eyes and learn in a guided tour or leaflet what it is behind it, what are the historic moments of the past. Do you want to know the most interesting part? You learn how that affected the way this society lives today, the events that led to the national holidays, for example. Not to mention the differences and similarities between religion and culture. 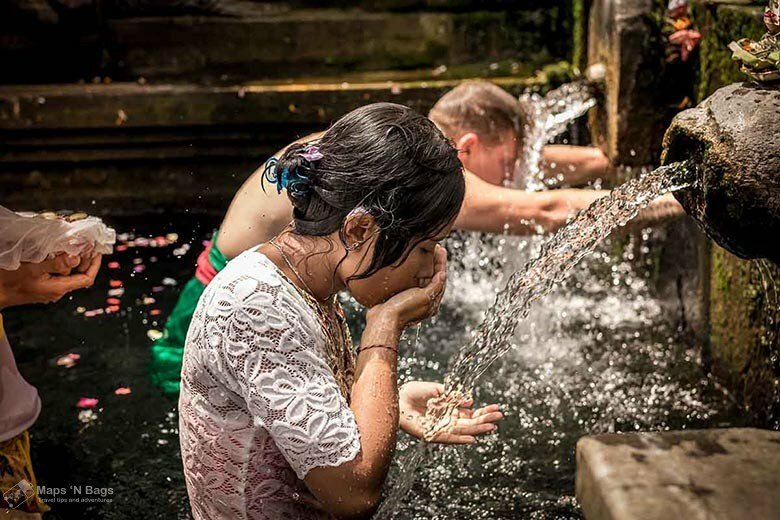 You’ll see that between visiting churches in Europe or temples in Asia, you can discover a whole new world of habits and beliefs. You can also try new food as a part of your “culture class”, like cockroaches in China or bunny chow in South Africa (no rabbits are harmed here). Okay, maybe I went too far with the cockroaches thing. 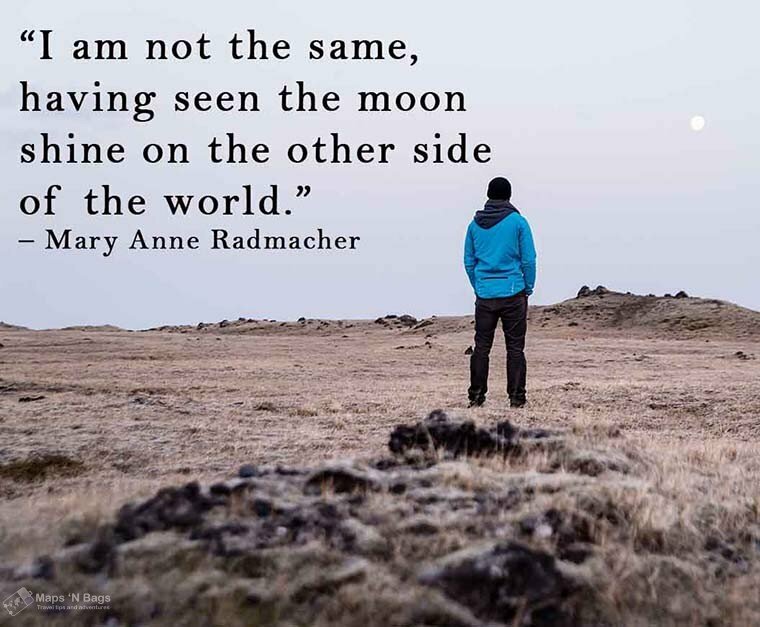 I always loved geography (I probably knew I had this wanderlust spirit), but when I started traveling I noticed how little of this world I was aware of. As a backpacker, maps are your friends to cross borders with other countries and to understand the city you’re in. You also learn about the weather and how it affects your plans. The Netherlands, e.g., is below the sea level and close to it, so it winds a lot in the country. There I learned that the direction of the wind determines the temperature, depending on the season. If it comes from the sea and it is fall (so after summer), it warms up a bit because the sea is still warm. The opposite also happens in the spring (after winter). Interesting, right? And this one example of many things that you can learn, and eventually share your knowledge with others too. Many people go to another country to learn a new language and that’s by far the best way to master it. You can read many textbooks, but you’ll only learn the pronunciation, intonation, expressions, etc when you talk with locals. I studied English in Brazil for around many years, once a week, before I could keep a decent conversation. When I moved to the Netherlands, I learned Dutch in 1 year and I was able to start a master degree given in Dutch. I had such a complete immersion in this new culture that the learning process was much faster than when I studied English. And keep in mind that Dutch is much more difficult than English. Travelers have to research, plan and organize so many things that if you’re on the road for a while, you should definitely write it down on your CV. These skills are very appealing for most companies. You have to research about the place, attractions, what to eat, where to sleep, how to get around; plan what you’re going to do in each day, what you’re packing; organizing all the tickets, documents, visas. Pheww! 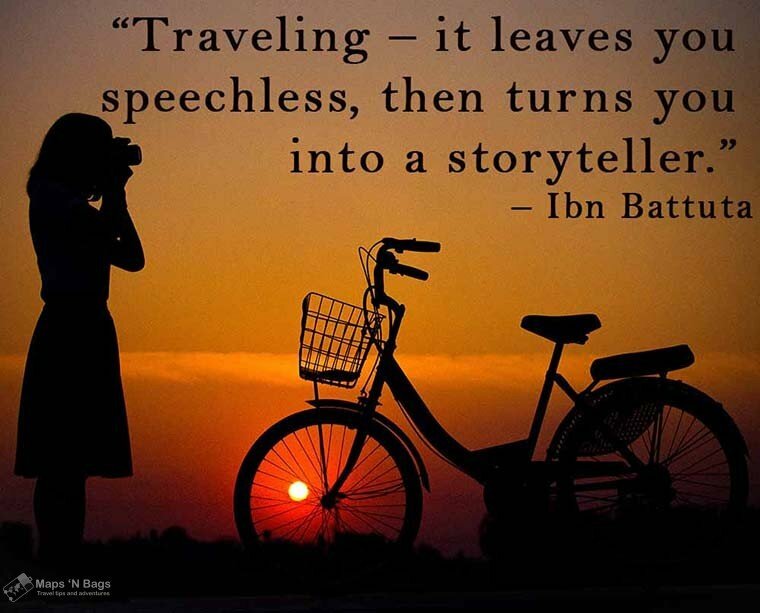 Actually, traveling is not only about having fun, it requires a lot of work too. So, if you travel a lot you should definitely write your skills down and rock!! 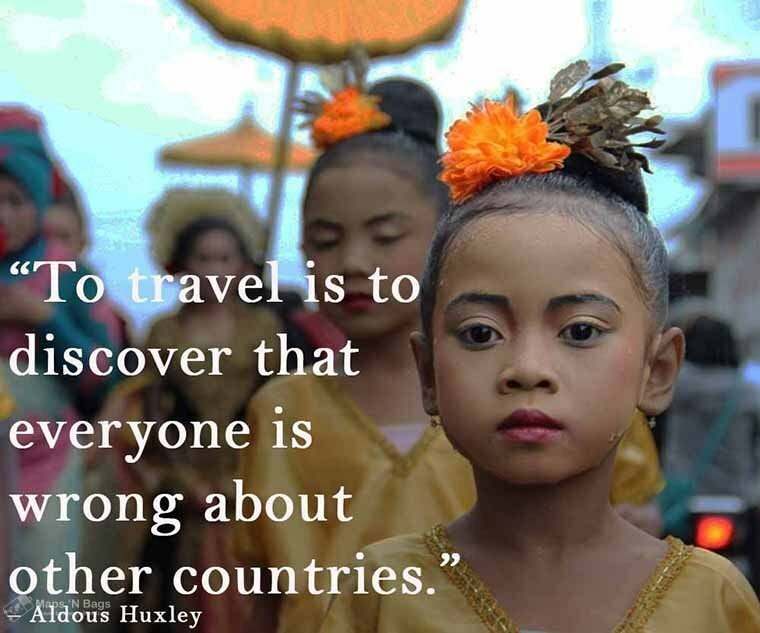 When we travel to a poor country we realize how privileged we are. There are millions of people who have way less than us, and yet, they have a smile on their faces. It’s beautiful to see how they are positive about everything! (That’s also a slap in our faces for some first world problems like “I hate Mondays”). Traveling opens our eyes to the battles people fight every day and we know nothing about, so we develop (even more, I hope) this gratitude feeling for the life we have. But that’s not all! We grow as a person too, because we not only change our perspective on things but also because we are “forced” out of our comfort zone. After all, we are in an unknown place where people speak another language, eat other kinds of food, the streets aren’t familiar, etc. 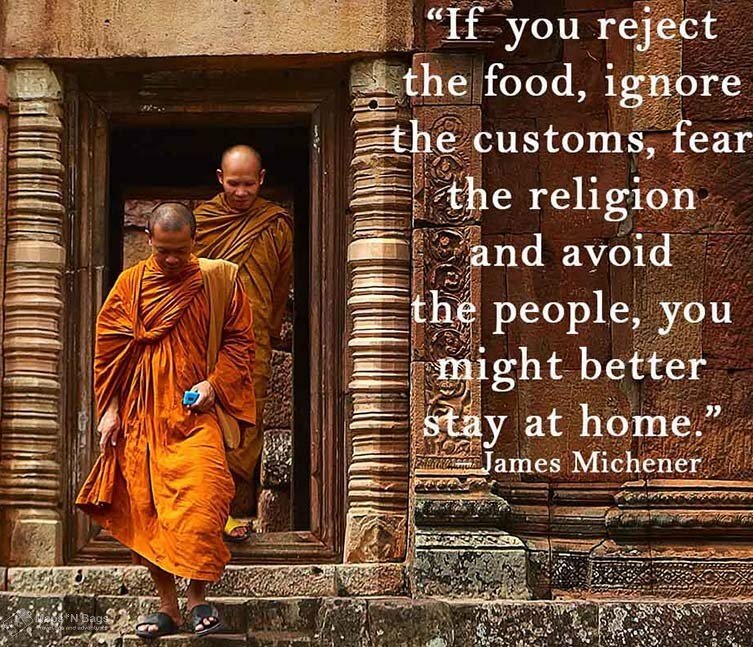 I mean, if travelers aren’t independent persons, or if they (hey, I mean we!) don’t become one on the road, I don’t know who is then. First, we learn about history and culture, then we start telling stories ourselves. It’s amazing the number of stories we have to share after visiting one place! Photos, videos, stories, souvenirs or even food (for foodies like me). So, even if you’re not really a good storyteller, don’t worry! 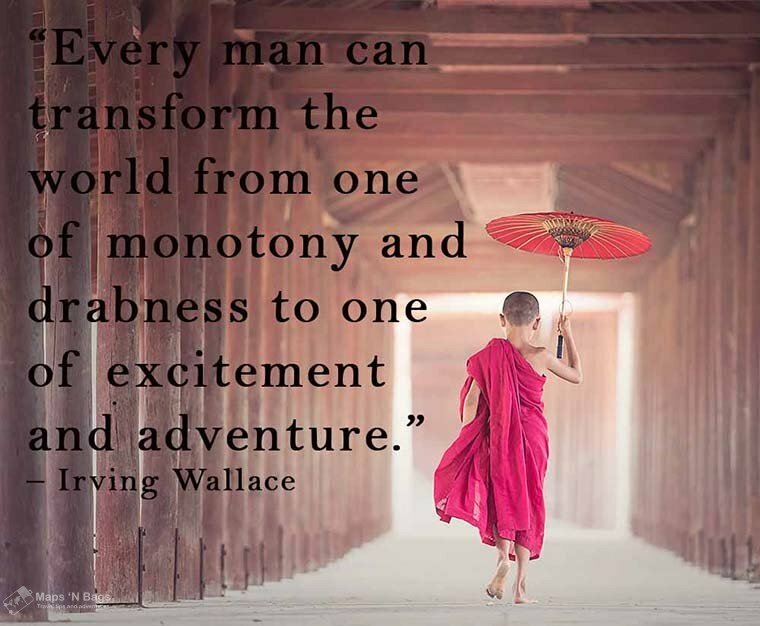 You’ll certainly become one because traveling definitely makes people more interesting. What sounds more amusing for you: telling how nice was to ride a bike in the park nearby home or around the temples in Bagan, Myanmar? There are countless lessons, but I’ll leave the rest to you. What would you add to this list? 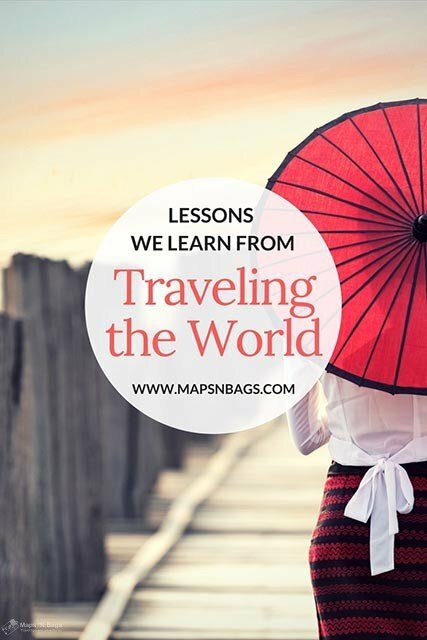 What lessons have you learned while traveling? Inspired? Pin this post so you can find it easily later! This entry was posted in Inspiration and tagged Wanderlust.